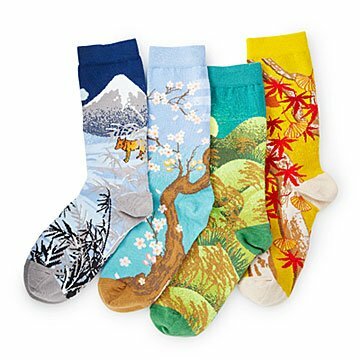 Seasonal socks featuring colorful nature scenes will take you to beautiful places with every step. Inspired by the beauty of nature, this set of seasonal socks will transport you to a verdant spring scene or an autumnal oasis with every step you take. The rich colors and detailed blooms and leaves evoke the spirit of specific seasons, but the soft, breathable, organic cotton blend makes these pairs comfy to wear all-year-round. Made in Colombia.